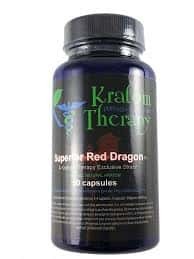 Superior Red Dragon is a Kratom leaf strain sold by Kratom Therapy that is said to be relaxing, euphoric and sedating. It is available in capsules and powder from online vendors and may even be carried by some local retailers and headshops. 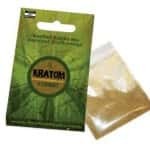 Reviews of Red Dragon Kratom are largely mixed with some saying this is simply an expensive version of Red Thai powder with a flashy name for marketing purposes. We have some concerns regarding Kratom Therapy’s promotion of this strain which they claim is “not only the most popular, but is also currently the most sought after strain on the market.” While it has received high scores from some users in terms of potency, this claim is demonstrably false and induces skepticism about the marketing of this product. Kratom Therapy bills its Red Dragon capsules and powder as coming from a private deep jungle plantation that is exclusive to them. They do not provide any other information about where this strain is grown or the harvesting techniques used. 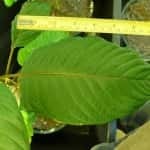 According to reviews posted on some of the popular online Kratom forums, the strain likely comes from Thailand and its effects closely mirror those one would expect from a Red Vein Thai leaf. There are some who suggest that there is no difference between Red Dragon and Red Thai save for the brand name. The effects are described as stimulating while providing a sharpened sense of focus and concentration. It is also said to numb feelings of pain and discomfort while allowing you to still function at high level. 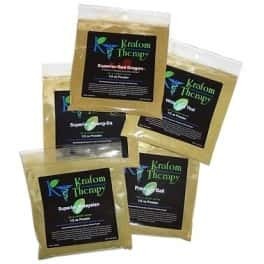 At larger doses, the typical Kratom euphoria and “relaxed buzz” will begin to kick in and you will feel all of your worries float away and be replaced by positive thoughts. 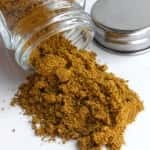 Kratom Therapy states that this product is effective at a dosage of 2 grams which would certainly make it one of the strongest non-extract powders on the market. Even the very high strength Maeng Da powder requires a dosage of 3 grams for the full scope of effects to be observed. Some users do seem to support this claim with one reviewer stating, “The Red Dragon rivals some extracts I’ve had — and its only a couple dollars more than the Borneo Red.” However, in one online experience log, a user wrote that he still felt nothing after taking 6 grams of this herb so you should be aware that your results may be different. 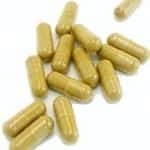 You can purchase Superiod Red Dragon capsules and powder directly from Kratom Therapy or from a number of third party stores such as Kratom-K, Super Fun Cave, Save On Kratom and Kratom Caps. Prices tend to be best when purchasing directly from the supplier, though other sellers may at times have sales on offer. A 1 ounce or 28 gram package of powder costs $16 and a bottle of 50 capsules with 600 mg each costs $21. You can also purchase an XL size bottle of 1200 mg capsules for $24. On average, this makes Red Dragon more expensive per ounce than other powders such as Red Thai, Red Bali or Premium Indo. That being said, if you are able to use half the effective dosage to achieve your desired results, then there could be some cost sabings available. Below is a selection of some of the reviews we have found for this product online. User reviews on this product are mixed at best with some calling it “notoriously bad Kratom” and others saying it “is definitely deserving of praise.” It is hard to judge the authenticity of many of these reviews. For example, one user on Reddit who wrote, “Their Superior Red Dragon is some of the best [Kratom} I’ve ever had,” appears to have been deleted as a fake member. We have tried to select reviews only from legitimate sources and trusted members on various forums across the web.